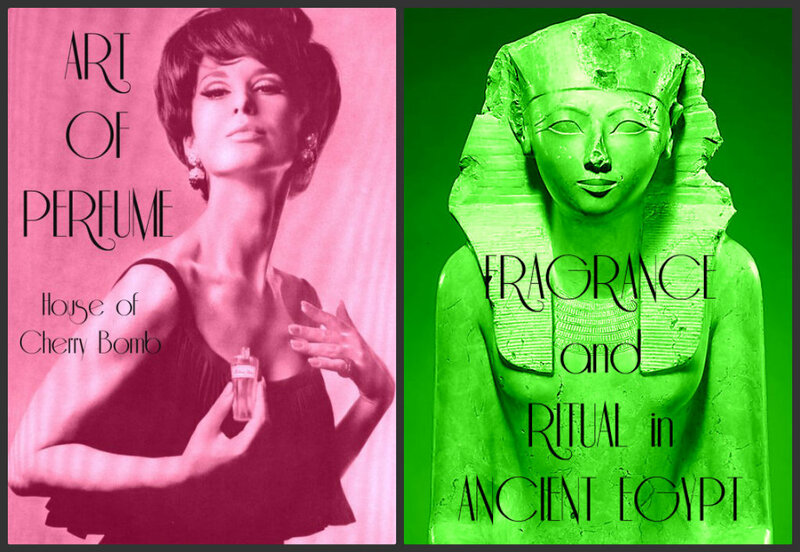 Join the House of Cherry Bomb perfumers, Alexis Karl and Maria McElroy for an olfactory voyage along the Nile as we discuss the importanc e of ritualistic oils in Ancient Egypt, and explore personal fragrance creation influenced by art works and artifacts viewed. Students will formulate a 1 oz bottle of fragrance to the sound of Ancient Egyptian music using a melange of beautiful and rare oils. Cost: $75.00 plus $25.00 material fee. Please contact us at houseofcherrybomb@gmail.com for registration details.